On the job 24/7, with years of responsive and reliable service. Construction materials, such as sand, gravel, limestone, decorative stone and topsoil. Rough concrete/asphalt, dirt, brick/block and other debris removed from construction sites. Agricultural products, including sugar, lime and fertilizer. 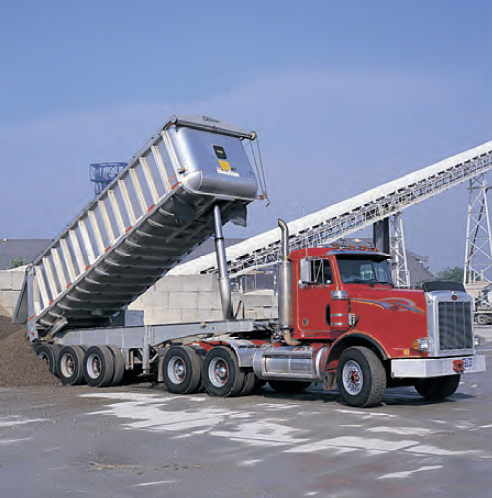 Any bulk material requiring a dump truck—snow, road salt, wood chips, leaves, mulch, compost, brush, tree limbs/trunks, overburden, clinker, fly ash and dredging spoils. A diverse fleet operated by safe, experienced independent drivers. 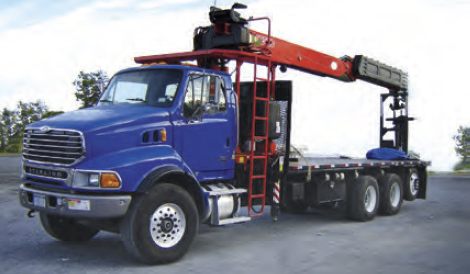 Dump trucks—single-axle, tandems, tri-axles, quads and quins. Cranes to lift trusses and beams. One call to Kuhlman does it all. At Kuhlman, we don’t rest until your job is done—whether you order 25 tons of stone from us or contract with us to move tens of thousands of tons of dirt. Our haulers have a well-earned reputation for being responsive and going the extra mile for our customers. Plus, we can often find dump sites for dirt and construction debris. No job is too big or small for Kuhlman. We run according to your schedule. Our policy is to understand the needs of our customers and then exceed their expectations. To save you time, money and aggravation, we manage the job from beginning to end. Quality: Products and services that perform as expected. Durable. Proven technologies. State-of-the-art materials.